Dare Wright Media, LLC was established in order to preserve, protect and manage Dare Wright’s entire estate including her life rights, all of her photographs, books, memorabilia, videos, letters and artworks (including many original paintings by Edith Stevenson Wright). 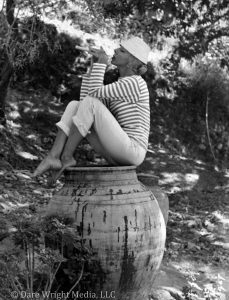 The photographic collection is comprised of more than 25,000 images on film and prints, divided between those Dare shot for her books, and those shot for her fashion modeling career and personal interest. All of the negatives and prints were made by Dare in her apartment’s closet darkroom. And all of Dare’s photographs have now been professionally scanned and cataloged. Her original film and hand-made prints are safely archived. A variety of Dare’s photographs have been exhibited in prominent galleries and in art shows of international acclaim both in New York and Los Angeles, including the Flag Art Foundation Gallery (NY), Pulse LA and Art Basel. A selection of Dare’s images can be purchased from Dare Wright Media as fine art, limited-edition, and museum-quality prints for private or public collections. We are also happy to grant restricted-use permissions for legitimate scholarly and publication purposes, usually at no cost. 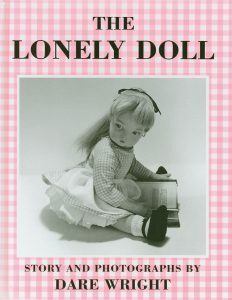 We are now completing the editing and layout of Brook Ashley’s memoir, Dare Wright And The Lonely Doll. It will feature more than five-hundred photographs drawn from Dare’s life and works. Brook was Dare’s goddaughter, lifelong friend, guardian during her final years, and sole heir. Brook, too, was a friend of Dare’s mother Edie, Dare’s brother Blaine and others in Dare’s circle in New York City. Broadway and film star Tallulah Bankhead, Brook’s second godmother, was in the circle. Brook’s father, Donald Seawell, was Dare’s confidant and protector from her early days in New York until the very end of Dare’s life. 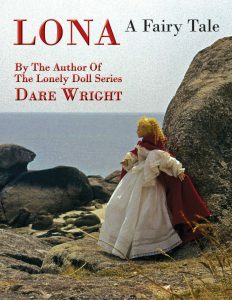 Dare Wright And The Lonely Doll will reveal the true story of a complicated angel who was an ethereal mixture of artistry and innocence. It draws on Brook’s extensive memories of Dare, as well as correspondance from Brook’s father, Dare’s brother Blaine, her mother Edie, and many other figures in Dare’s life. Among our other projects on the horizon are the planning of a full-length documentary film suitable for theaters, television and streaming movie platforms, as well as a live theatrical show based upon Dare’s story. We will keep you posted on these and other activities, and we welcome your inquiries of any nature.